In the last decade, several recognition and authentication systems based on biometric measurements have been proposed. Many different biological features have been utilized: fingerprint, face and facial features, retinal scan, iris pattern, hand geometry, dna trace and gait, and others. Algorithms and sensors have been developed to acquire and process all different biometric data sources. Not only research tools have been developed, but a notable effort has been made by many industrial companies, making biometrics a very challenging arena, fostering many diverse approaches. What are the most up-to-date core technologies developed in the field? How well do these systems perform? What are the real and ultimate limitations of biometric recognition/authentication systems? How to develop/integrate a biometric recognition system? the collection and management of large-scale databases. Emphasis will be given to evaluation, standardization and to define the maturity of technology for deployment of biometrics in a wide range of applications. the school will involve a five days, full immersin of lectures as wella as practical exercise in the development and use of modules for Biometric systems. The school will be open to about 40 highly qualified, motivated and pre-selected students. Phd students, post-docs, young researchers or industrial professionals in the field are encouraged to apply. The lectures will be given by several outstanding experts in the field, from both academia and industry. The expected school fees will be in the order of 1,000 € for Phd students and 1,500 € for others (subject to change). The fees will include full board accommodation, all courses and handling material. Participating students may submit a short paper (6 pages maximum, original and unpublished work) on their recent research activity. A scholarship (supported by Motorola) will be given to the best paper presented by the students and selected by the school committee. A selected subset from the submitted paper will be published, together with the lecturer’s contributions, in an edited book in the Springer Verlag Lecture Notes Series in Computer Science. The school will be hosted by hotel Capo Caccia in Tramariglio, near Alghero, Sardynia one of the most beautiful resorts in the Mediterranean sea. Settled on the north-western coast of Sardinia, Capo Caccia is the extreme point. At west of the enchanting Bay of Porto Conte, which closes at east-side, with Punta Giglio, the bay engraves the coast for more than 6 kmts, culminating, among wide beaches and wonderful small beach-natural plat- forms, in the massif of Capo Caccia reef. The hotel Capo Caccia is a recently renovated conference center, fully equipped for scientific events. 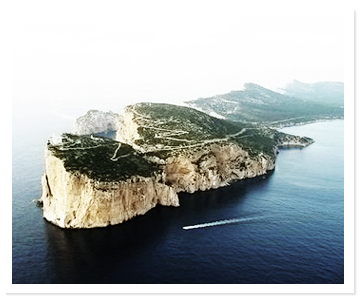 The structure is divided into three main blocks, beautifully immersed into the Capo Caccia natural reserve. The central building, the dépendence and the other structures of the village are joined each other by a covered walk, which pleasantly crosses the park, reaching the swimming-pool and the beach. The entire structure as well as the surroundings proved to be a perfect environment for the school activities. The Capo Caccia hotel is located close to Porto Conte Ricerche, a modern hi-tech center, part of the University of Sassari, which hosts a variety of facilities for research and training (computer laboratories, specialized equipment and lecture halls) and hospitality (guest quarters and dining hall), as well as an auditorium that is fully equipped for scientific events.